Each year, more than 2,000 motorcyclists are killed and over 75,000 are injured in traffic crashes. Much of the time, the collisions are not the bikers' fault. 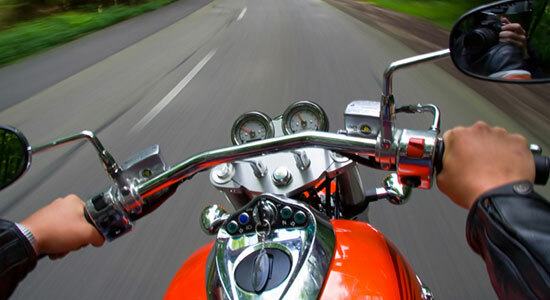 Edgar Snyder & Associates, a law firm that protects the rights of injured bikers, offers resources to keep motorcyclists informed of the latest safety information and motorcycle laws. Download Our Free Motorcycle Safety Brochure! To help you stay safe this motorcycle riding season, download our free motorcycle safety brochure. You can also download our free 'Just in Case' card to keep with you in case of an emergency. Below are links to statistics, laws, and safety information that all bikers need to be aware of in order to protect themselves and other drivers. If you, or someone you love, were injured in a motorcycle accident, every minute counts. Evidence disappears quickly, and you may have a case. Our Pennsylvania lawyers at Edgar Snyder & Associates can help get you the compensation you deserve for your injuries, medical bills, and missed work time. Call 1-866-943-3427, or fill out the form at the top right of this webpage to get started with a free legal consultation now. Or, you can use our convenient "click to call" service. Our phones answer 24/7, so contact us today - before it's too late.